When you and your family embark upon an interior painting project, you have an amazing opportunity to customize your living spaces to your unique identity. The best way to ensure that your efforts are as rewarding as possible is to hire a professional for assistance. 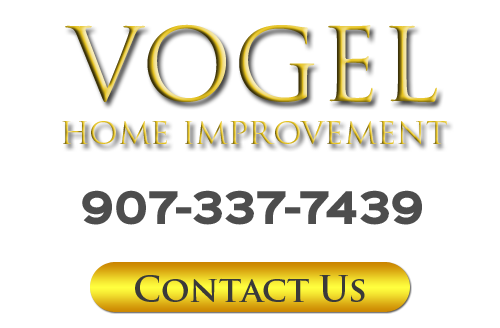 Vogel Home Improvement specializes in drywall related services and interior painting in Anchorage. With my help, you will be able to make the most impactful changes to your living spaces. I can install and repair drywall as needed. I can then texture and finish these features for you. Rest assured that as a local home improvement specialist, I can then paint your living spaces to your exact specifications. In the end, your vision for your home will become a reality. If you are planning an interior painting project in Anchorage and need to hire a professionally license remodeling contractor who specializes in painting and drywall services, call Vogel Home Improvement today. I am always happy to help a local resident in any way that I can with their home improvement needs. I would be glad to answer any of your questions about the drywall and painting services I provide in the Anchorage area. I can schedule your appointment to discuss your project in detail today. Far too often, people think that interior and exterior painting in Anchorage is a two step process. One must merely buy the right paint and apply it to the walls. However, this mindset is more than likely going to lead to substandard results. Unlike some other so-called Anchorage painting contractors, I understand that proper preparation is the key to a successful and rewarding project. Because Vogel Home Improvement is known for providing adept work with installing and repairing dry wall, you can rest assured that I can properly prepare every surface of your home before paint application. With proper preparation, I can ensure that you will achieve the best possible results. I understand that you and your family are the most important aspects of your interior painting project. As such, I will work my hardest to customize all of my painting services to your unique tastes and goals. In this way, I can ensure that you will be completely satisfied with the results for years to come. If you ever have any drywall repair or installation needs, I am the Anchorage remodeling contractor you can count on to help you out. I can conduct any drywall related service that you have in mind. Together, we can make every portion of your property's interior look its absolute best. If you need to hire a licensed remodeling contractor for drywall installation or painting services in Anchorage, AK or nearby, please call 907-337-7439 or complete my online request form.